“Ancient Arts Of Survival” is the band's fourth album, successor to the highly acclaimed “Heliodromus” from 2015. A little less eccentric and experimental, “Ancient Arts Of Survival” is more reminiscent of the band's roots. More metal than prog rock, but still plenty of odd time signatures with lots of 5 s and 9s. Categories: CD, Highlights. 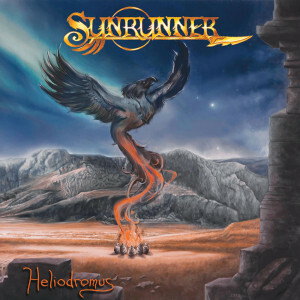 Tags: Heavy Metal, Power Metal, Prog Rock, Sunrunner. The title “Ancient Arts Of Survival” reflects a time when mankind had the abilities to be in control of his own destiny. The cover artwork is signed by the artist Jan Michael Barlow and perfectly reflects the title and its concept. 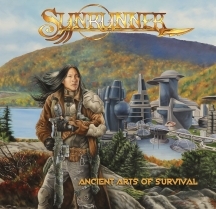 For the production of “Ancient Arts Of Survival”, Sunrunner once again mixed both the analog and digital recording systems respectively. All main vocals were recorded at Stone Studio in Brazil, as “Ancient Arts Of Survival” marks the debut of the band’s new vocalist, the brazilian Bruno Neves. The three Grammy Award-winner producer Bob Katz was responsible for the mastering.